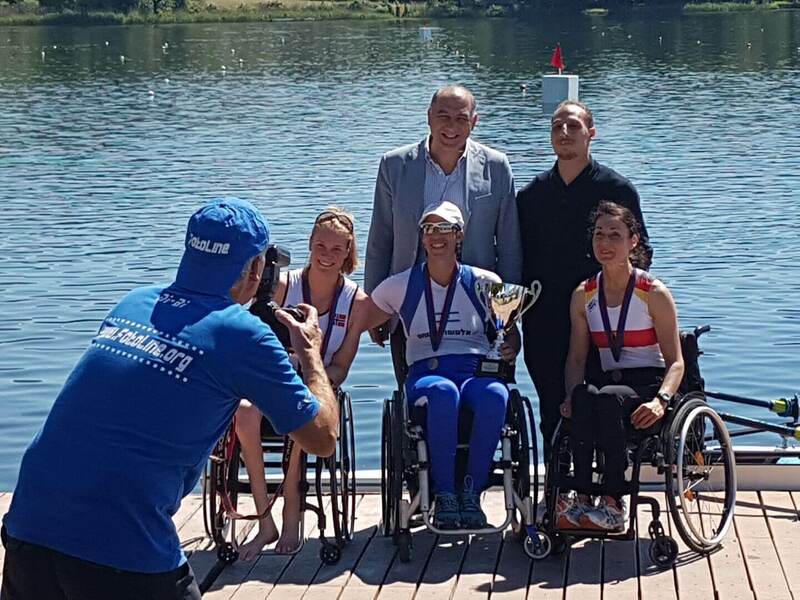 At the 2017 FISA International Para Rowing Regatta competition in Gavirate, Italy, Israeli rower and Paralympic Bronze Medalist Moran Samuel set a new world record and won two Gold Medals. In the Mixed Double Sculls Israeli rowers Achiya Klein and Shay-Lee Mizrachi won the Silver Medal. In the Mixed Co-Ed Four category, Israeli rowers Shay-Lee Mizrachi, Simona Goren, Achiya Klein, Barak Hatzor and Leah Sas won the Bronze Medal. This is an important competition on the way to qualifying for the World Championship. Adam Greenfeld and his standing partner Natalia Kutik came in 4th place in the Couples category (a wheelchair dancer with a standing partner). At the World Championship in Slovakia Carmit Dor and Inbal Bahar of Tel Aviv’s Beit Halochem came in 6th. Haim Lev and Shraga Weinberg won the Couples category.